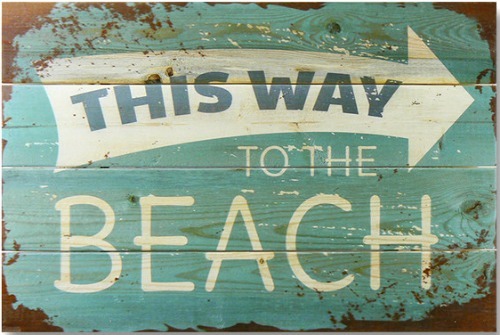 Shop the look of this Florida beach getaway. 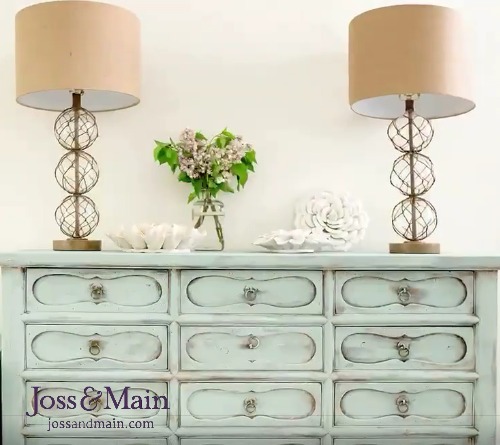 Country singer Jessie James Decker shows us how Joss & Main helped with the redo of her Florida beach house. 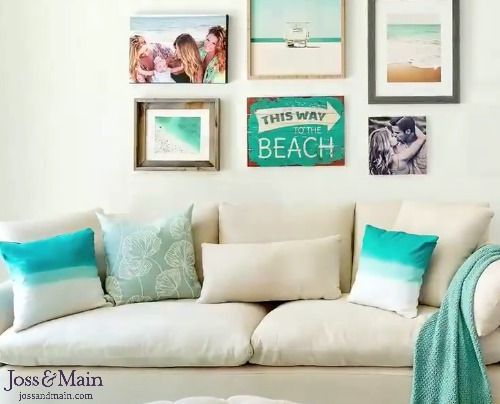 The Coastal Gallery Wall above the sofa includes personal photographs are displayed along with Beach Art Photo Prints and a Beach Sign. The teal Dalia Pillows mimic ocean waters, along with a Teal Throw. Note: Pillow color on their website is off (check the reviews). A pair of Lamps Inspired by Fishing Glass Floats. And a Coastal Wall Rack. 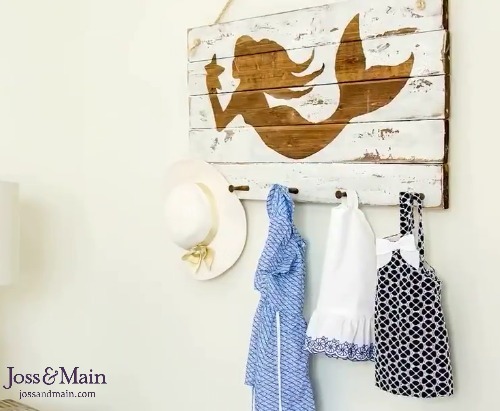 To create this specific look, you could also add hooks to Rustic Coastal Wood Wall Art.